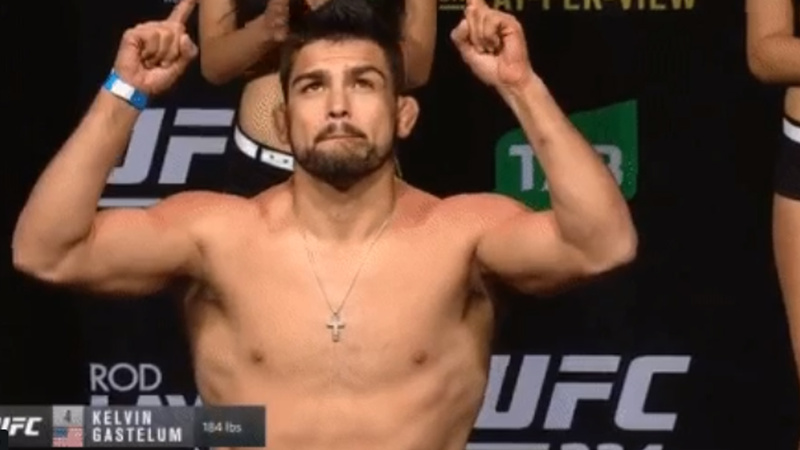 Earlier today UFC 234 main headliner bout got rocked just hours before the event when UFC president Dana White broke the news via ESPN’s Brett Okamoto that UFC middleweight champion Robert Whittaker has been forced to withdraw from a title fight against Kelvin Gastelum due to hernia issue. After acknowledging the news, Donald Cerrone and Chael Sonnen offer their services, but UFC moved on with other plans and decided to call off Gastelum from tonight’s UFC 234 lineup. In the wake of this terrible news, UFC promoted the middleweight bout between former division kingpin Anderson Silva and rising contender Israel Adesanya to the main event. Although the fight is called off, Gastelum showed up at Rod Laver Arena with the new belt on his shoulder. Well, we don’t know whether he’s just flaunting the new belt or UFC officials handed him the strap, regardless of that, he’s proclaiming himself a champ. Share your thoughts on this matter below.